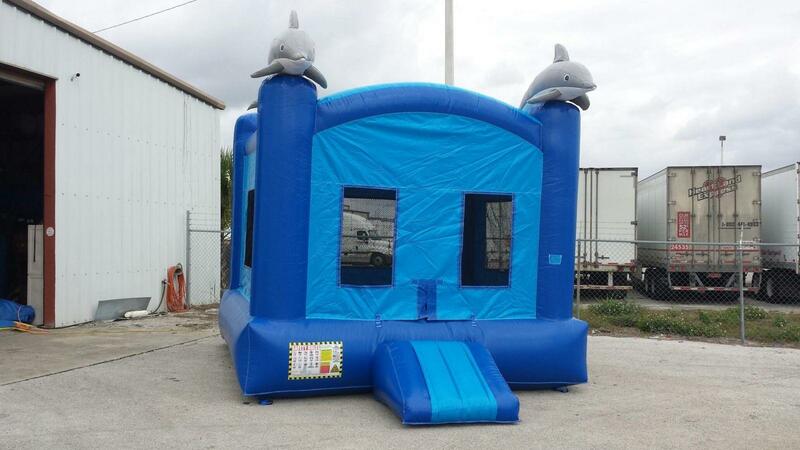 13x13 Under the sea bounce house with dolphins on top. Bounce house has a basketball hoop inside the jumping area for an even better party rental experience. This is the perfect addition for all your events in and around Lakeland Florida. Delivered on time and clean for a party rental experience easier than ever.